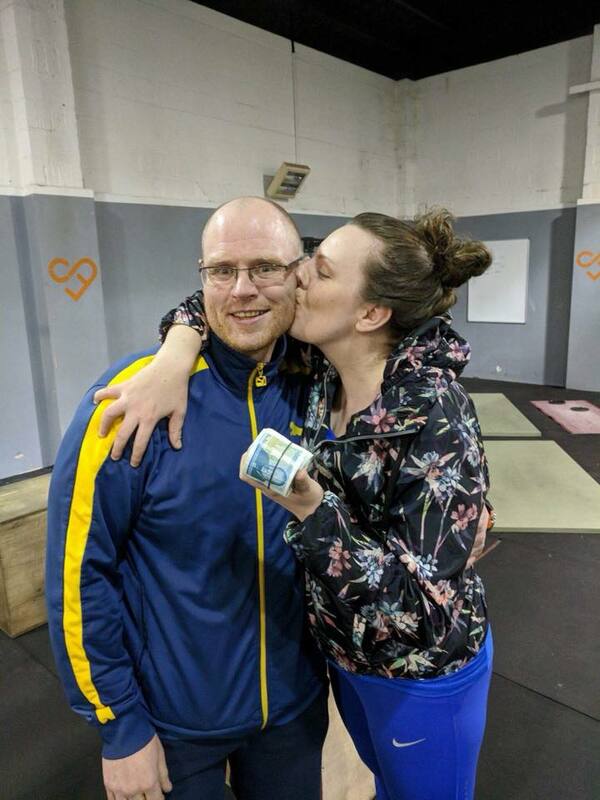 In January, we had a surprise donation from Darren. He had saved every five pound note he had got in 2017 and decided to donate them to Our Space at the beginning of the year. We were shocked to receive a whopping £965.00 from Darren and thank him once again for his extremely generous donation. We also received the news that we had been shortlisted for Six Towns Radio’s Charity of the Year in January. Despite not making it to the final, Trustees felt that his was a big achievement for Our Space, as we were still a fairly new charity. And we have been shortlisted once again so make sure you head to their website and VOTE FOR US! 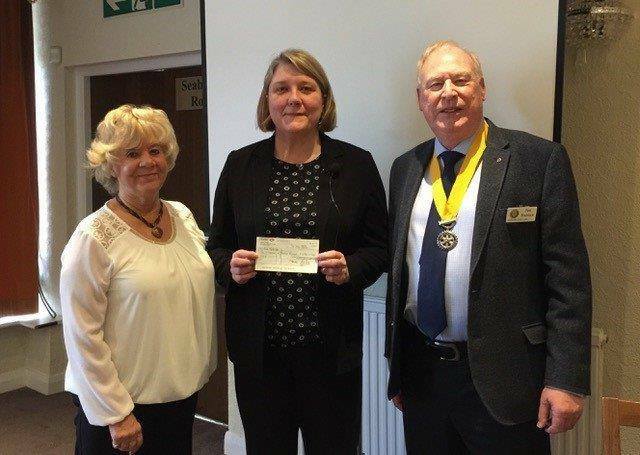 January also saw a kind donation from the Rotary Club of Newcastle-under-Lyme. Service Manager Jane went along to a presentation where she received a cheque for £630.00. We are very grateful for the Club’s support. In March, we had our Spring Concert featuring the University Hospital Orchestra who also organised the event. 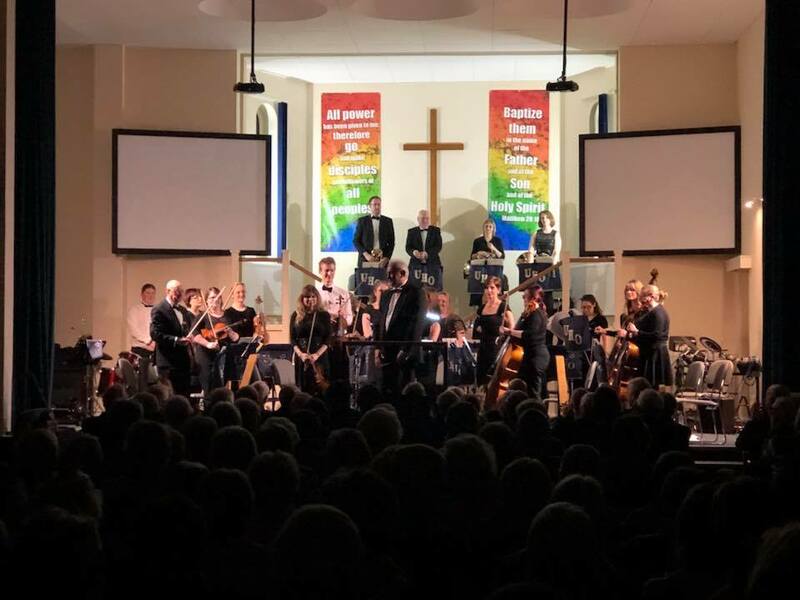 The Orchestra performed alongside Newcastle Male Voice Choir. The concert was thoroughly enjoyed by all who attended, and a fantastic sum of £1,291.38 was raised. A massive thank you to the University Hospital Orchestra and Newcastle Male Voice Choir for their support. Also in March, we received a £1,088.99 donation from Burslem Rotary, which had been raised via their Santa Sleigh the previous Christmas. We are really grateful for the support from the Rotary and members of the public who donated. The team at Cappello Lounge in Newcastle have supported us throughout the year and, in May, they held a Royal Tea Party where they sold cakes and raised an amazing £103.00. Thank you to Megan and the team for supporting us. June this year saw the return of our big fundraising event. Team Our Space held their nerve as they abseiled 80ft down Millers Dale Bridge in Derbyshire. 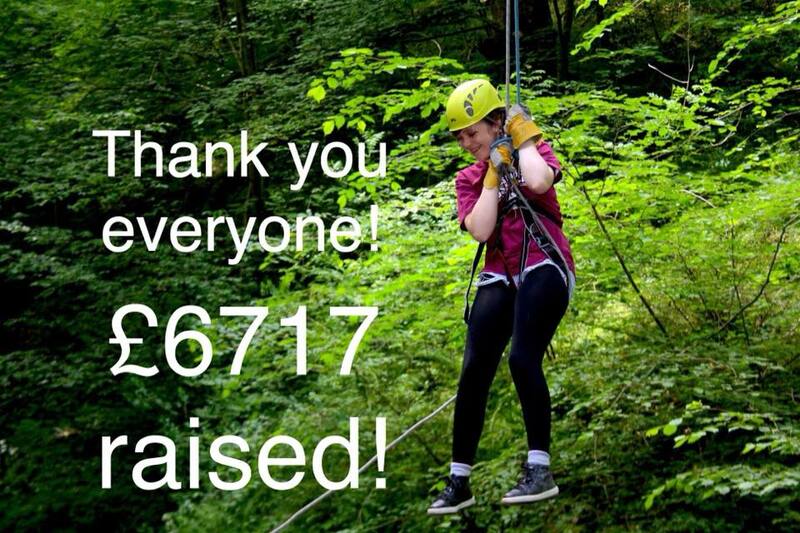 The team of 46 people consisted of trustees, staff, members and supporters, all of whom bravely took the plunge and raised £6,717.00. A massive thank you to all of our daredevils. 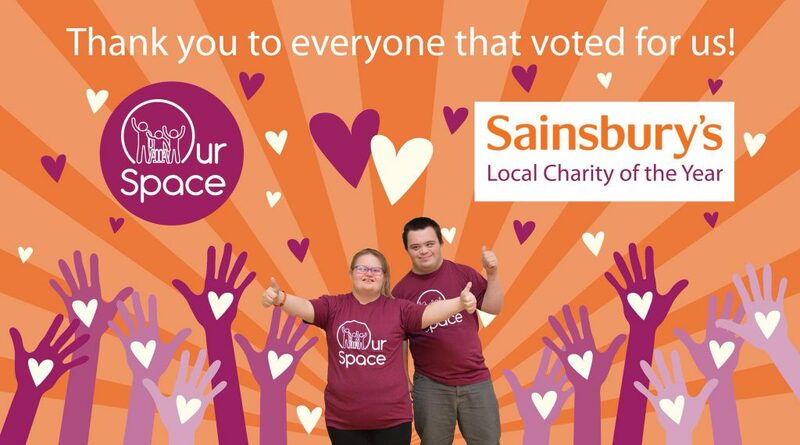 In July, we were thrilled to receive the news that Our Space had won the public vote to become the Local Charity of the Year for the Sainsbury’s store in Newcastle-under-Lyme. It has been great to collect in Sainsbury’s and we really appreciate the support the store continues to give us. Thank you to everyone who voted. We were thrilled to be Marks and Spencer, Wolstanton’s Charity of the Year. 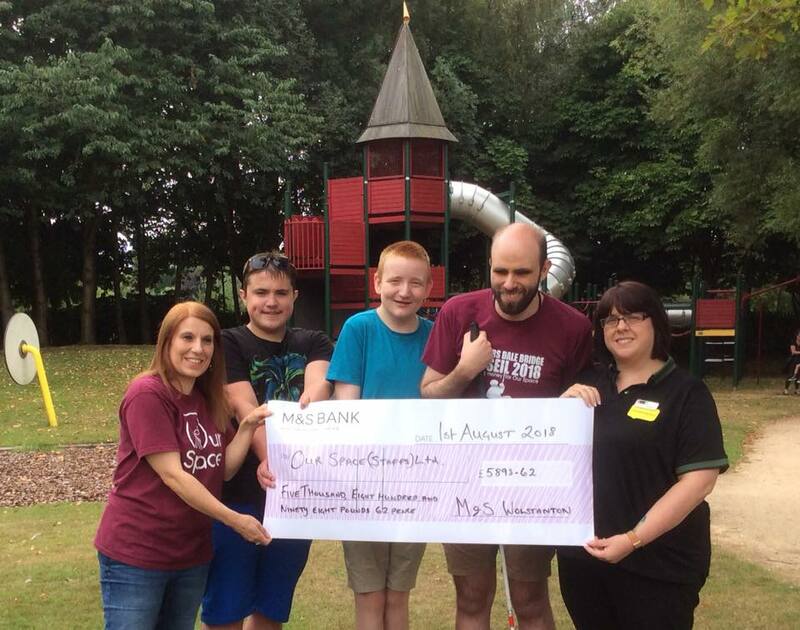 In August, we were presented with a cheque for £5,892.62 from the store. This amazing total was raised via bucket collections and staff cake sales. Staff also helped renovate our Sensory Garden area last summer. Thank you to everyone at M&S. In September, we held our first Sizzling Sounds event. 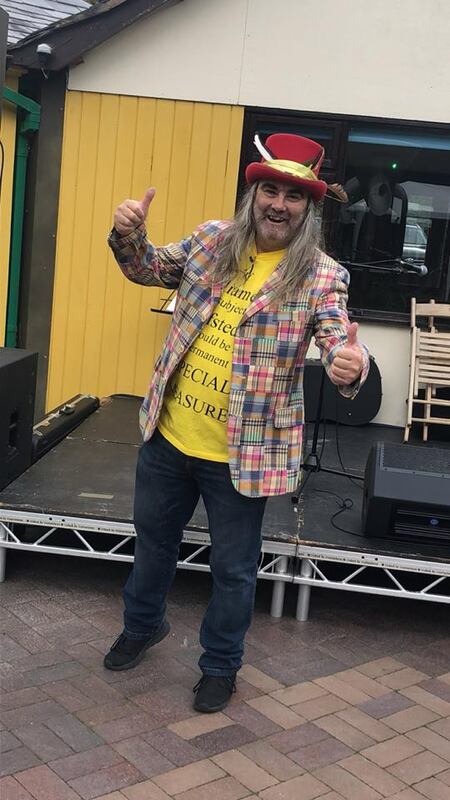 It was a great success, with local musicians Jodi Jay, Tim Lee and Papa-T Project all taking to the stage and filling our grounds with music. We were also entertained by dance troop, Doomsday Morris and local story teller, Alan Barrett, who was also our compere for the afternoon. A huge thank you to those who performed and those who attended. We hope to do something similar next year, so keep your eyes peeled! We are always grateful for the support from our friends at Peaches Restaurant. In October we had our annual Charity Meal there, which was a huge success. The evening raised £693.60 and was thoroughly enjoyed by all who attended. 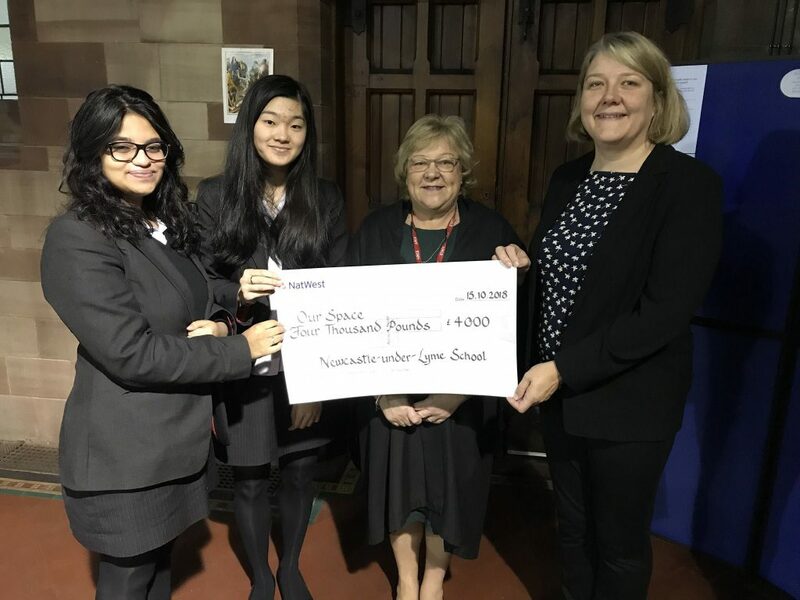 Also in October, we received an amazing donation from Newcastle-under-Lyme School. 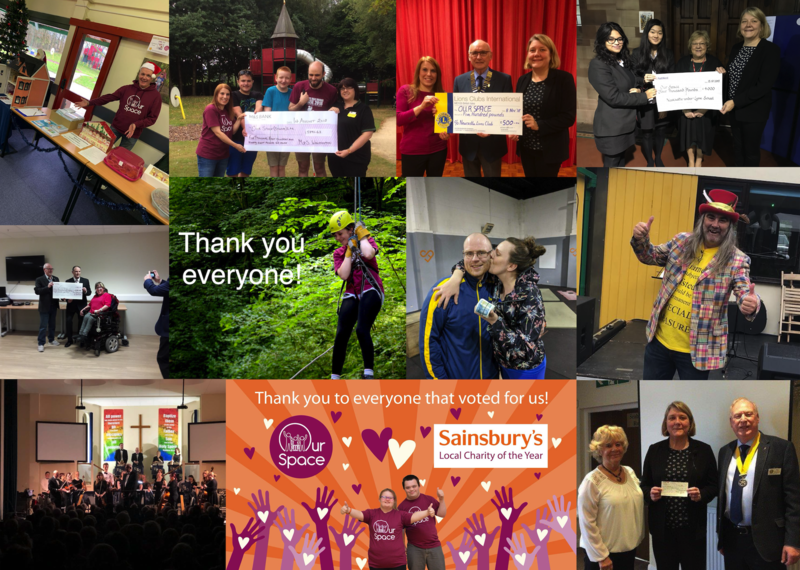 During our time as their Charity of the Year, pupils and staff raised a whopping £4,000 for Our Space through various activities, including a Valentines delivery service. Many thanks to all involved for their support. We would also like to thank David Hyner for his ongoing support. David is a Professional Speaker and asks for donations to Our Space when he gives talks. We recently received £717.44 from Alderbrook Sixth Form, which came to us via David. It’s always a lovely surprise to receive his donations. 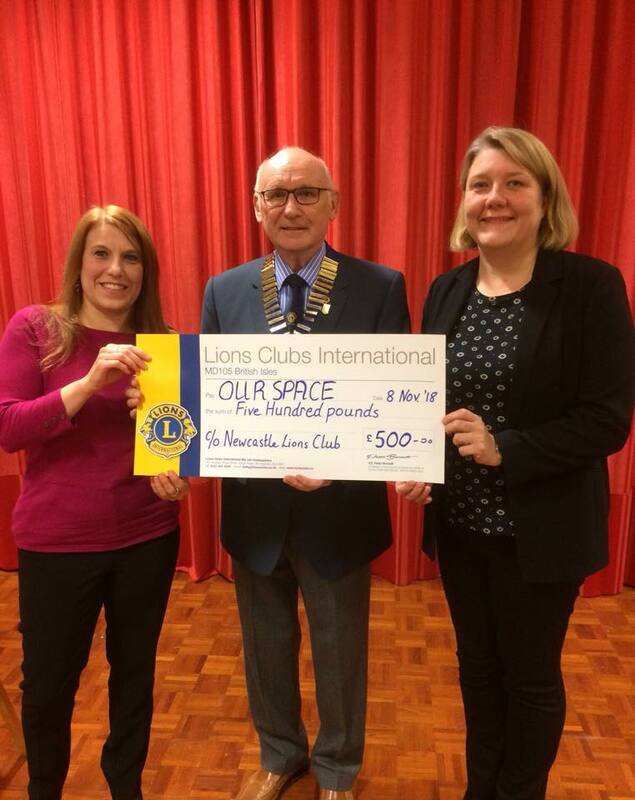 Newcastle-under-Lyme Lions Club have been a great support to Our Space over the years. 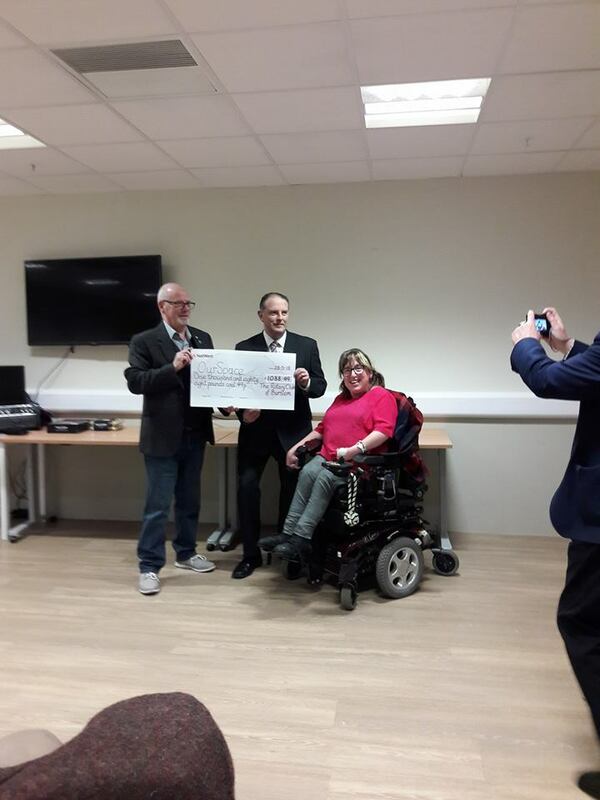 In November, they presented us with a cheque for £500 and also presented trustee, Hannah with an award for Recognition of Outstanding Service to the Community. 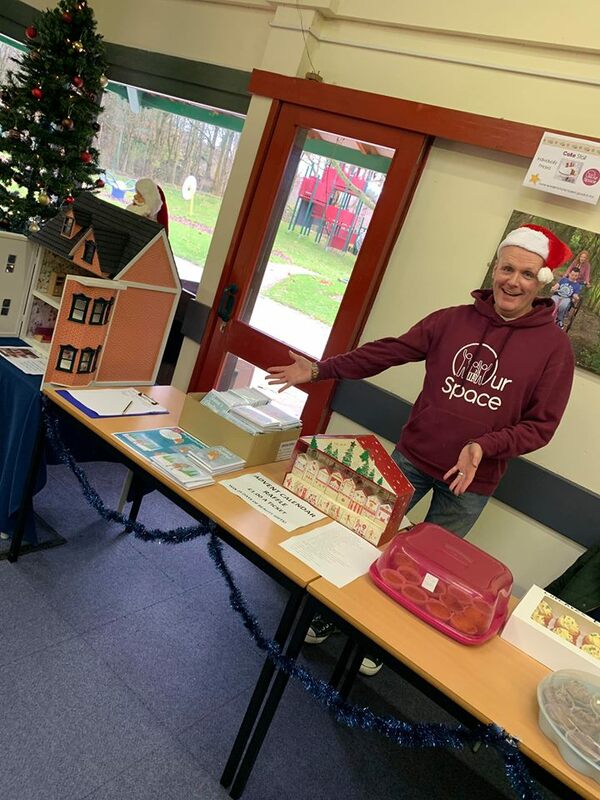 We ended the year with our annual Christmas Fair in December. We were overwhelmed by the generosity of individuals and local businesses who donated some great items for our stalls and raffles. We were also delighted that the Fair had a great turnout from members and the local community. A fantastic £1,203.86 was raised and it was great to see everyone enjoying the festivities. These are just some highlights from 2018. If we listed all the support we have received throughout the year, this post would be ginormous! 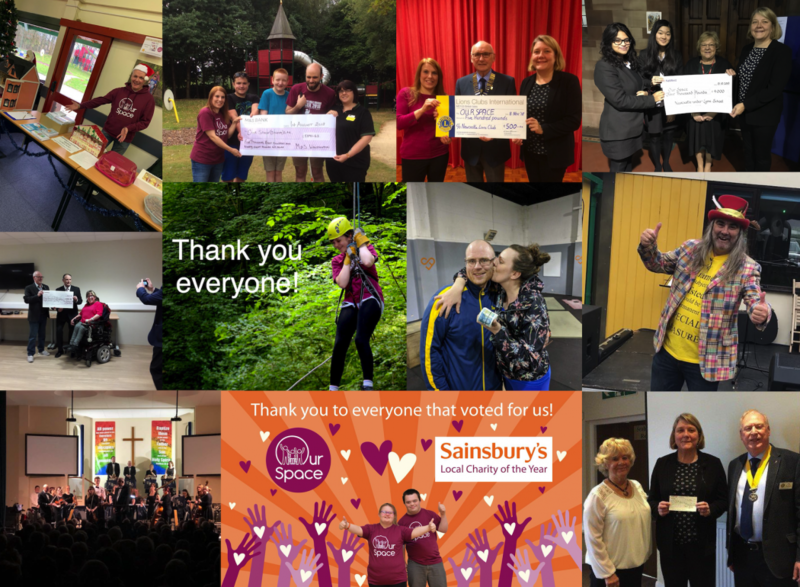 So if you’ve raised money for us, had one of our collecting boxes, donated money, took part in an event, come along to an event, helped at one of our sessions, donated a raffle prize or baked a cake – THANK YOU! We really appreciate all the support we receive and look forward to seeing what 2019 has in store for us.